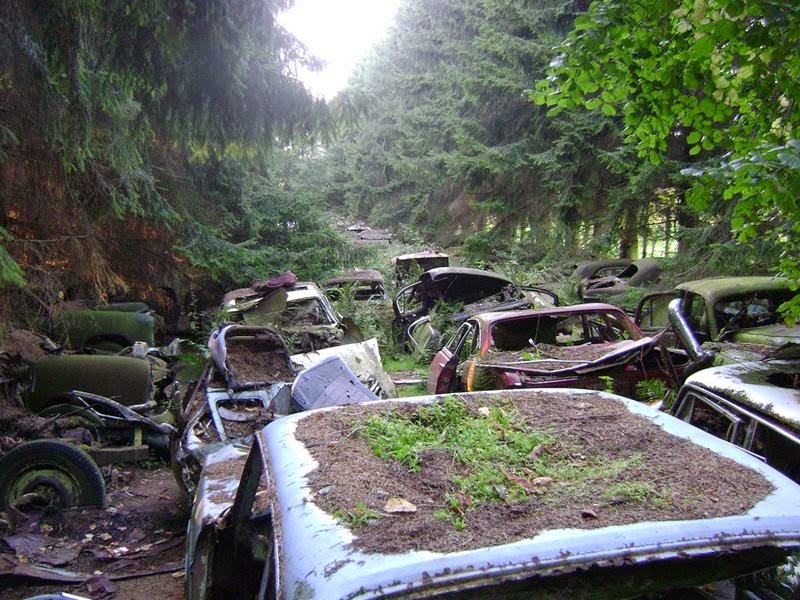 The Châtillon Car Graveyard, The middle of a small forest the collection of vintage cars in the woods near Chatillon, located in Wallonia, Belgium. 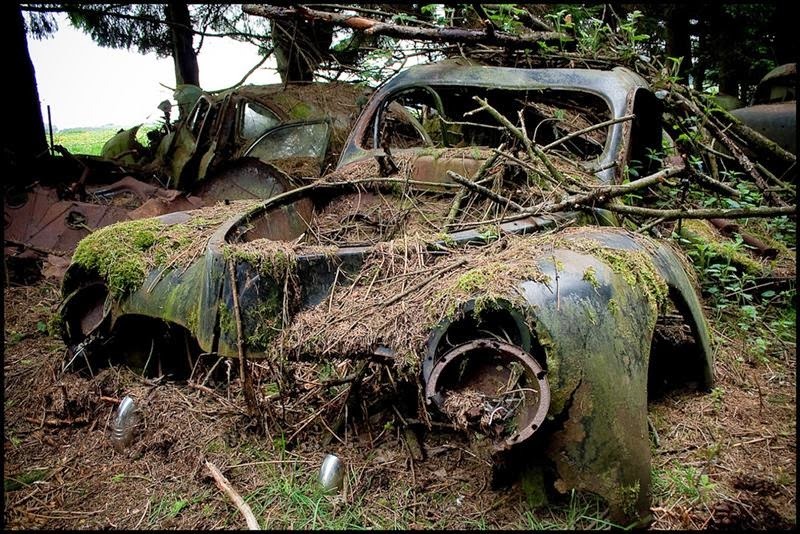 The branches and vines of surrounding foliage had grown down into the cars, twisting around the rusted, broken down metal. 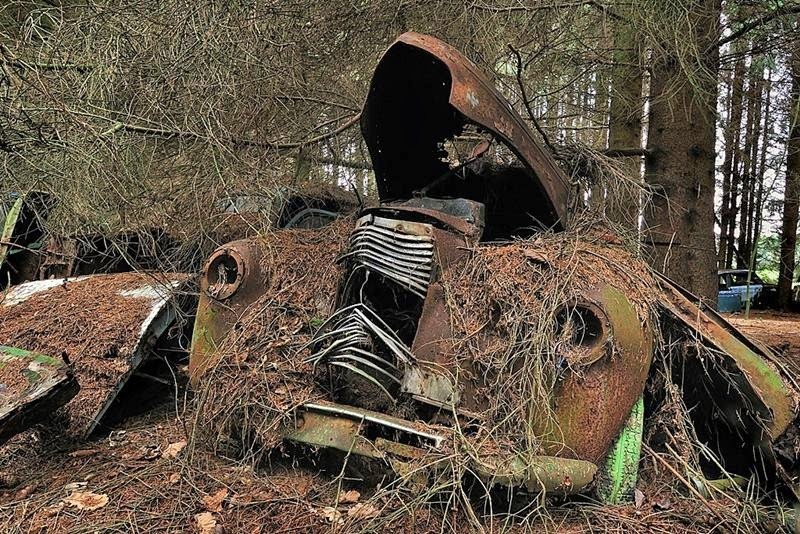 The cars left here resembled skeletons of the shinny toys they once were. 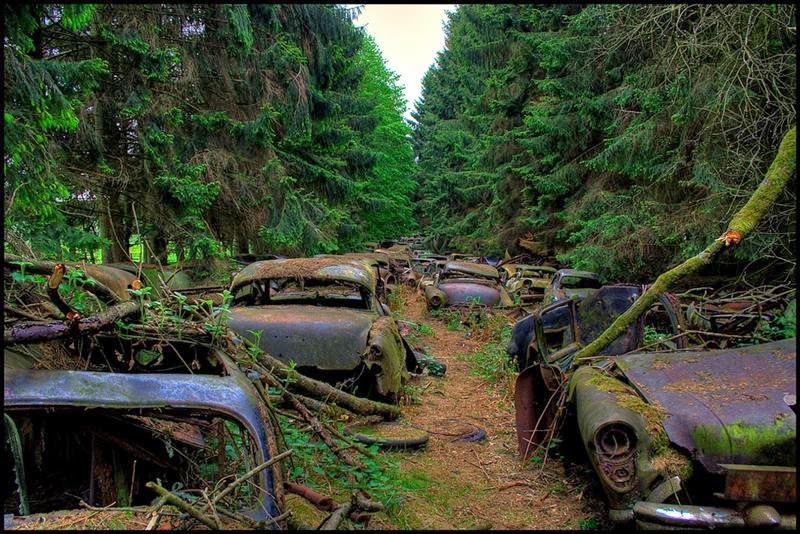 The eerie part is that the cars appeared to have been left behind in a hurry. 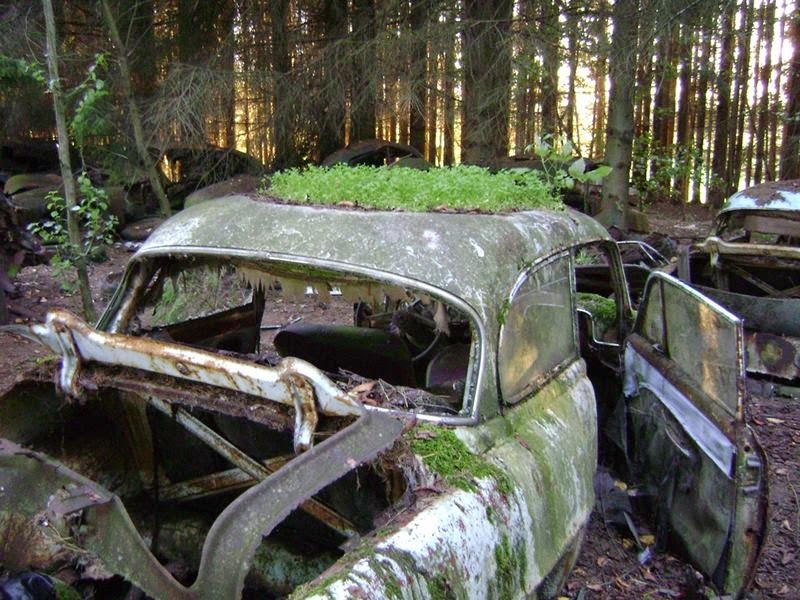 The cars sat for so long, nature took over, causing moss to grow like a new style paint job from doors and bumpers. 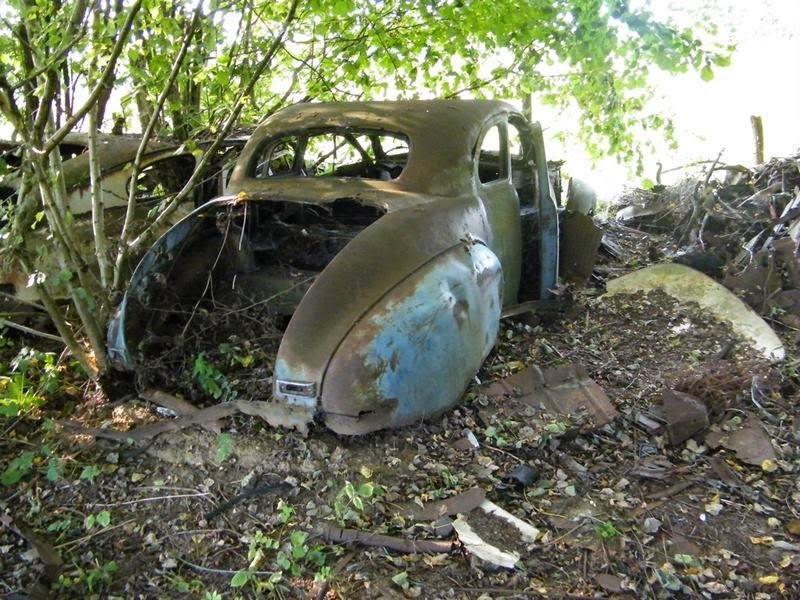 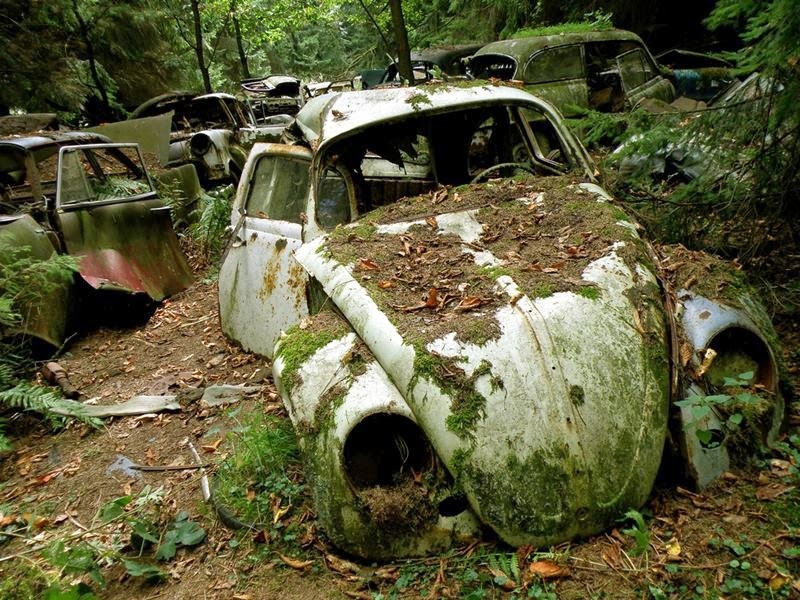 As creepy as The Chatillon Car Graveyard appeared, the true story behind the car cemetery’s origin makes it all the more intriguing. 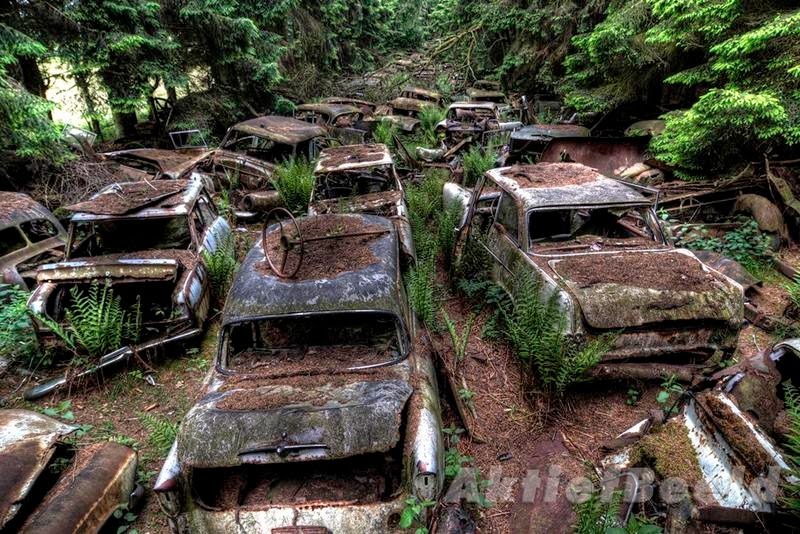 In fact, the real story behind these abandoned cars remain a complete mystery. 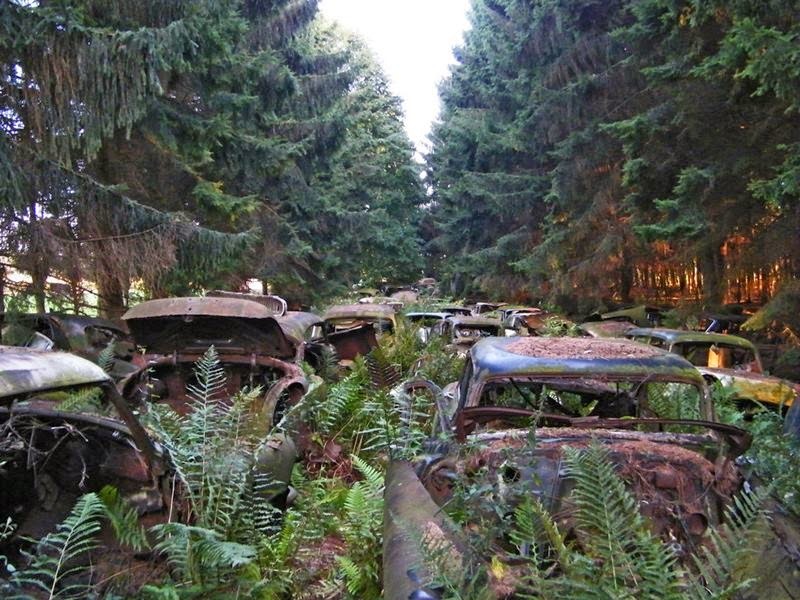 According to Wikipedia this graveyard of cars was started when US servicemen, stationed in the area following World War Two, hid their cars in the forest due to the cost of shipping them overseas. 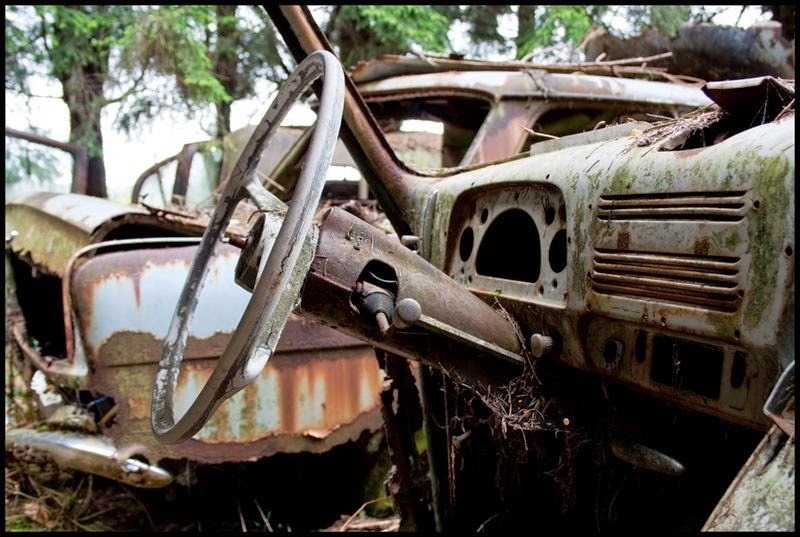 Plans to retrieve the vintage vehicles at a later date were never realized, and the cars steadily deteriorated as the decades passed. 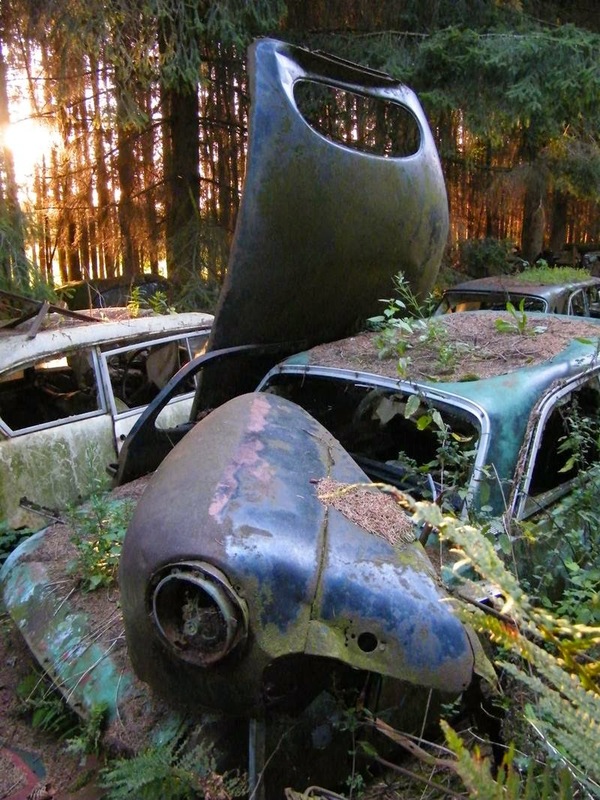 Left to the mercy of the elements, souvenir hunters and enthusiasts on the lookout for spares, their rusting shells gradually became part of the forest.